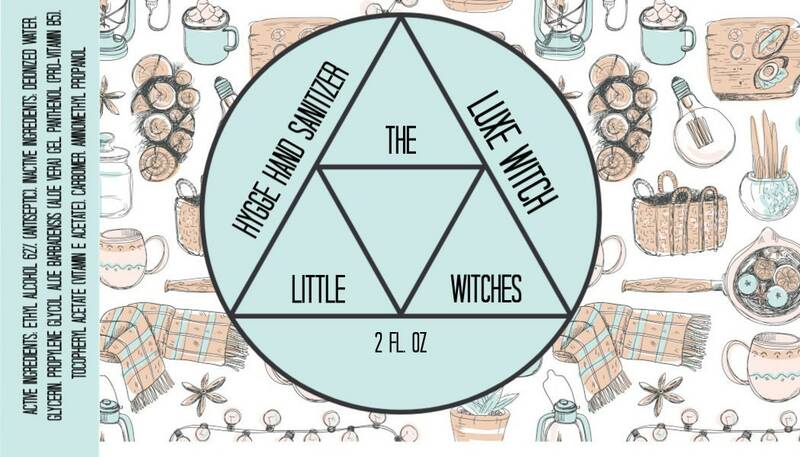 Hygge Hand Sanitizer "Luxe Witch"
This listing is for my hand sanitizer in the scent "Luxe Witch". It is a luxurious mix of blueberry, white freesia, wild grape, pomegranate, lily, magnolia, green vines, cashmere, and violet which makes is a great soft winter and springtime scent. The color is a hint of sapphire blue and I use: Glycerin, Blue 1, Red 40, Red 33 to color it. Just want to make sure that anyone who may be sensitive to color sees this. About the Sanitizer itself. The gel base kills 99.99% of many common germs and bacteria in as little as 15 seconds while gently moisturizing skin to keep hands soft and smooth, even with frequent use. It is a medium viscosity gel formulation using the recommended 62% alcohol with a special blend of moisturizers and skin conditioning agents to kill germs and leave hands feeling moist and refreshed. The formula includes Glycerin, Aloe Vera, Pro Vitamin B-5 and Vitamin E to help contribute to healthy looking and great feeling skin. Ingredients: Active Ingredient: Ethyl Alcohol 62% (Antiseptic). Inactive Ingredients: Deionized water, Glycerin, Propylene Glycol, Aloe Barbadensis (Aloe Vera) Gel, Panthenol (Pro-Vitamin B5), Tocopheryl Acetate (Vitamin E acetate), Carbomer, Aminomethyl Propanol. (please note color addition if any, in case of allergies) Please contact me if you have color allergies and I can special make one with no color for you.